If you hear a grinding sound when you press on the brakes, you may need a set of brake pads. Bring your Maserati Ghibli to Hi Tech Luxury Imports near Houston, TX 77027 to get a great new set of brake pads that keep you safe and secure on the road. The longer you drive around on worn-out brake pads, the more you damage the underside of your Maserati Ghibli. If you wait too long, you might have to replace your entire brake system and possibly more. When thinking about new brake pads and the safety of your car, you cannot compromise quality for cost. The service department at Hi Tech Luxury Imports near Houston, TX 77027 will give you high quality brake pads at a good price. New technology for your Maserati Ghibli makes it difficult to know which brake pads are right for your car. The Hi Tech Luxury Imports service team knows your Maserati Ghibli brakes, and we know whether or not you need semi-metallic or ceramic brakes. We know what is going to make your brakes work best. We only use quality safety-tested brake pads and make sure they are installed properly. Different brake pads can help you depending on your lifestyle. If you do more highway driving, certain brake pads are better than ones that last longer and for lighter use. Some work better in the cold or the heat as well. 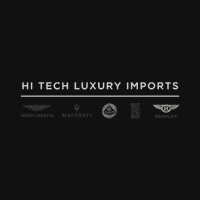 The service team at Hi Tech Luxury Imports near Houston, TX 77027 knows which ones will work best. We have everything you need to find a safe and long lasting brake pad. We have one of the most well informed service teams near the Houston, TX 77027 area and we are at your disposal to help you find the right brake pad for your Maserati Ghibli. Schedule a service appointment today to get your car in top shape with a set of new brake pads. Not everyone sells the best safety-tested products. After-market brake pads don’t always go through the same rigorous testing. At Hi Tech Luxury Imports near Houston, TX 77027, you can know that you are getting only safety-tested brake pads that have been checked again and again to ensure they are safe to put on your Maserati Ghibli. The service team at Hi Tech Luxury Imports near Houston, TX 77027 makes sure your Maserati Ghibli is driving smoothly and safely with a new set of brake pads. Ultimately, your brake pads are there to save your life and prolong the life of your car. If worn down brake pads rub against the rotors, your repair bills may increase. Don’t trust a crucial part of your Maserati Ghibli to just anybody. Schedule a service appointment with Hi Tech Luxury Imports near Houston, TX 77027 and know that your car will safely stop when you put your foot on the brakes.